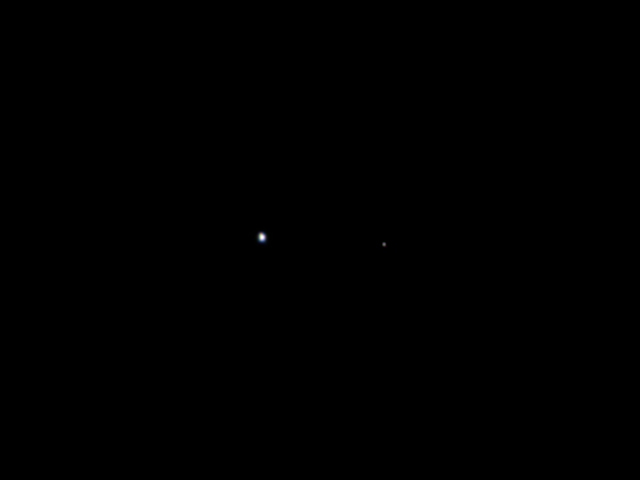 Looking homeward in its long journey to Jupiter, NASA’s Juno spacecraft offered up this rare view of our home planet with its moon. 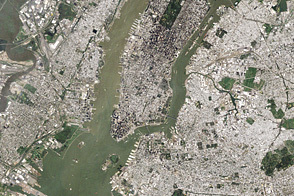 The spacecraft was some six million miles (nearly 10 million kilometers) from Earth when it took this photo on August 26, 2011. From this distance, oceans, land, clouds, and ice blend into a blur of light, a mere dot against the vastness of space. Even fainter and smaller, the Moon provides an additional sense of scale. 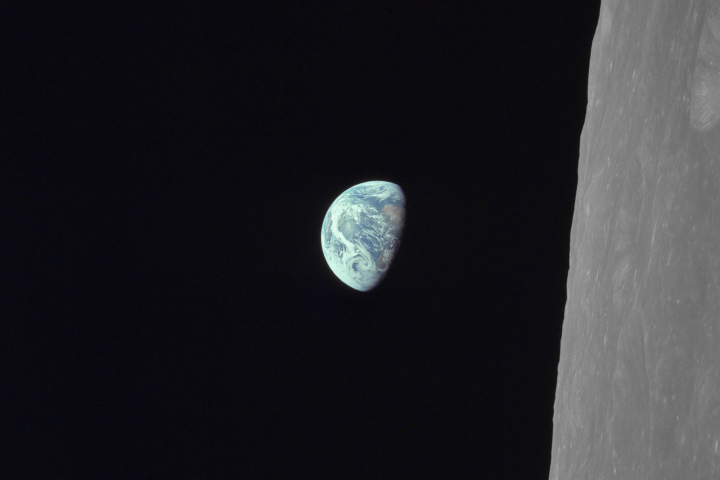 Separated by just over an inch (about 3 centimeters) in this photo, the Earth and Moon are about 250,000 miles or 402,000 kilometers apart. 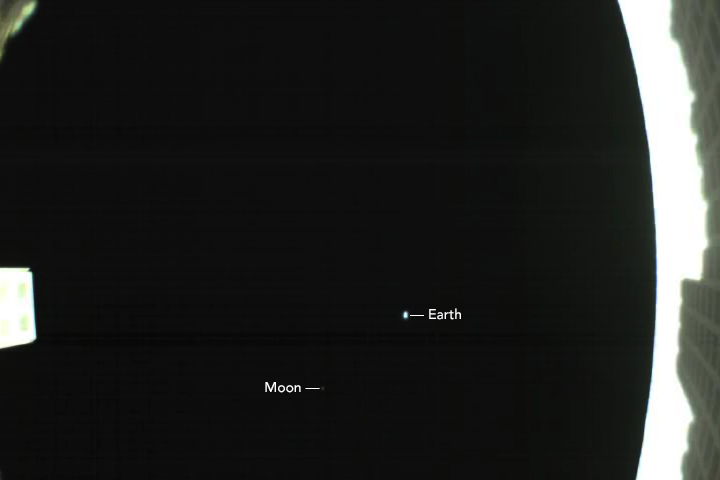 Juno traveled this distance, from the Earth to the Moon, in less than a day. The spacecraft launched on August 5, and will reach Jupiter, another 1,740 million miles (2,800 million kilometers) away, in about five years. 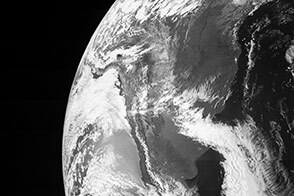 The mission team took the photo as part of the first detailed check of the spacecraft’s instruments and subsystems. The photo and other checks show that Juno is healthy and on course for Jupiter. Once it reaches Jupiter, Juno will orbit the planet’s pole taking measurements that will provide insight into Jupiter’s origin, structure, atmosphere and magnetosphere. Juno will also help determine if Jupiter, a gas giant, has a solid core. 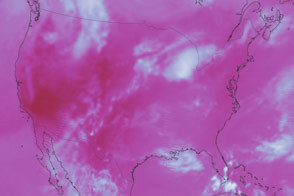 Image by NASA/JPL-Caltech. 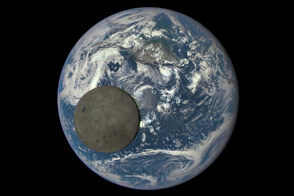 Caption by Holli Riebeek, derived from Jupiter-bound space probe captures Earth and Moon. 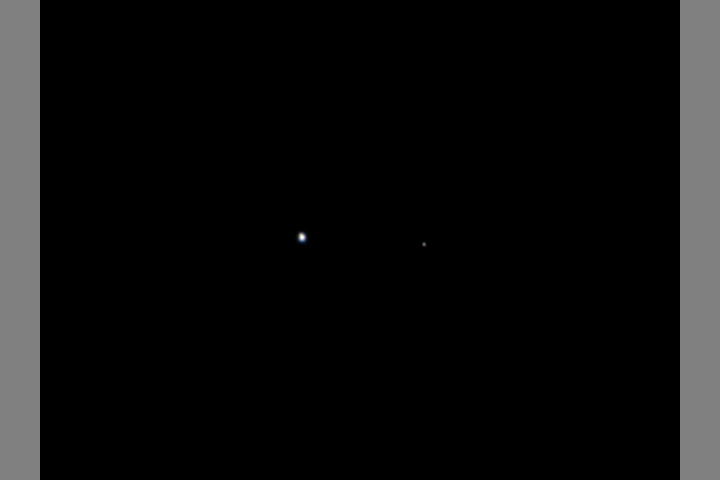 This image shows Earth and the Moon from six million miles away.